During the spring and summer of 2015, we’re making a series of four Single Hop And Single Malt beers. Each one showcasing a different variety of hop paired with a grain bill with just a single malt variety. Tasting Notes: The last in our S.M.A.S.H. series (Single Malt And Single Hop) of pale ales. 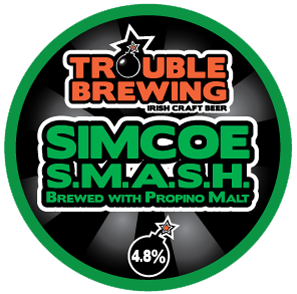 This one is brewed with an Irish base malt. Clean and refreshing with Simcoe hops adding a piney, zesty edge to the beer. 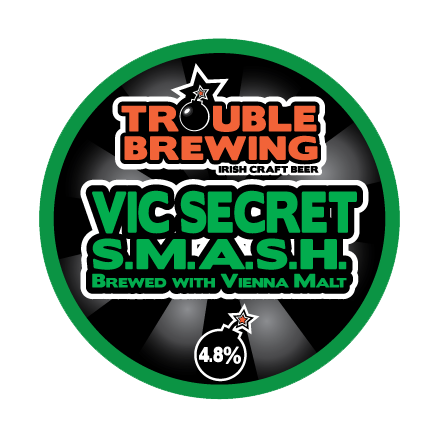 Tasting Notes: This single malt and single hop pale ale showcases the Australian hop Vic Secret. Generous dry hopping provides a dominant tropical fruit aroma with notes of pineapple and passion-fruit along with hints of pine. 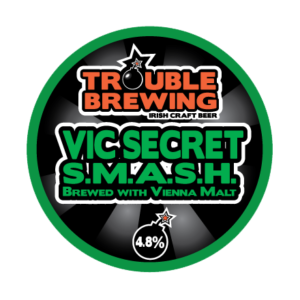 Vienna malt contributes a sweeter malty character with a subtle toasty character. 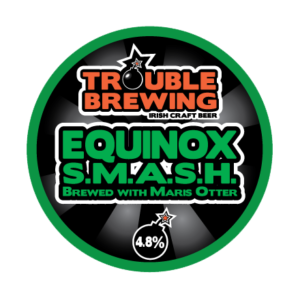 Tasting Notes: A single malt and single hop pale ale brewed with Maris Otter barley which provides a clean, light toasty flavour. The intensely aromatic Equinox hops are added at 4 stages during the boil and again as a dry hop addition and contributes a unique herbal, resinous aroma and flavours or juicy papaya and grapefruit zest. Tasting Notes: A single malt and single hop pale ale using one of our favourite hops; Centennial. This hop brings restrained citrus flavour and clean bitterness to the beer with floral notes on the nose. Concerto malt provides a solid and earthy malt backbone allowing the hop flavour to come to the fore.